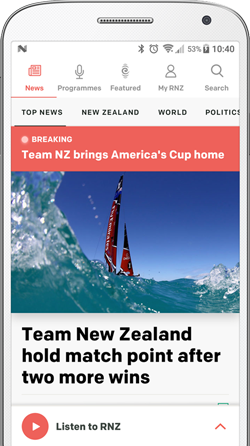 New Zealand has a new Labour-led government in a coalition with New Zealand First - ending nine years of National governments. New Prime Minister Jacinda Ardern will head the Labour-New Zealand First government, supported by the Greens. Ms Ardern and Green Party leader James Shaw say they're certain the new government will last the full term. New Zealand First leader Winston Peters, speaking shortly before 7pm on Thursday, said it had secured policies to advance economic positions and he wanted to address poverty. "That's why in the end we chose a coalition government of New Zealand First with the New Zealand Labour party." Watch full interviews with Jacinda Ardern and James Shaw and look back on RNZ's live coverage here. The new prime minister, Labour leader Jacinda Ardern, will be New Zealand's second youngest leader. After a Labour caucus meeting on Friday, the ministerial list was announced, but portfolios will not be known until next week. Details of support agreements with New Zealand First and the Greens will also be released next week. An official swearing-in ceremony is expected on Wednesday. Jacinda Ardern told Morning Report Labour's plan for its first 100 days in government had remained largely intact with a few minor changes". Ms Ardern would not confirm ahead of releasing the agreements whether a water tax remained on the table. The Green Party has ratified the deal offered by Labour and will get three ministers outside Cabinet and one undersecretary. Green Party leader James Shaw said the ministerial responsibilities will relate to climate change, restoring forests and rivers and ending poverty. Winston Peters has been offered the deputy prime minister role. The government was announced shortly before 7pm on Thursday, a coalition of Labour and New Zealand First - ending nine years of National governments. Mr Peters said the government was a coalition between New Zealand First and Labour, which - in turn - has a confidence and supply arrangement with the Greens. Negotiations to form the next government began on Sunday 8 October, a day after the official election results were released. The final results gave National 56 seats, down two on election night, while Labour and the Greens combined had 54 MPs, up two. 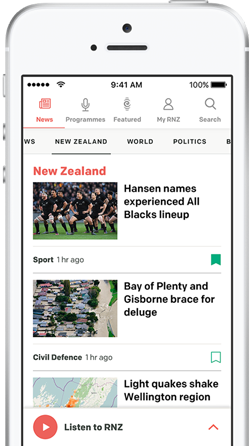 How the world media is reacting to the Labour-NZ First government announcement. Opinion - New Zealand's electoral system is designed to elect a Parliament and not, necessarily, a government, writes Rob Hosking.